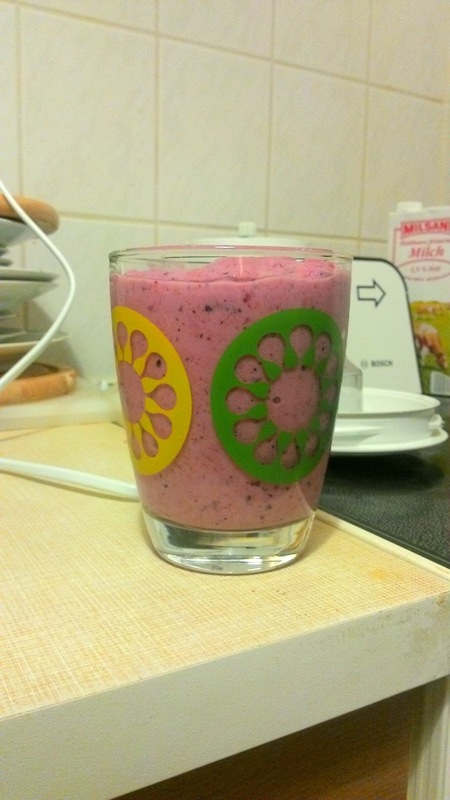 Love Your Ego: EGOtorial: How to make a smoothie! Today I want to show you how my sister and I make our smoothies. 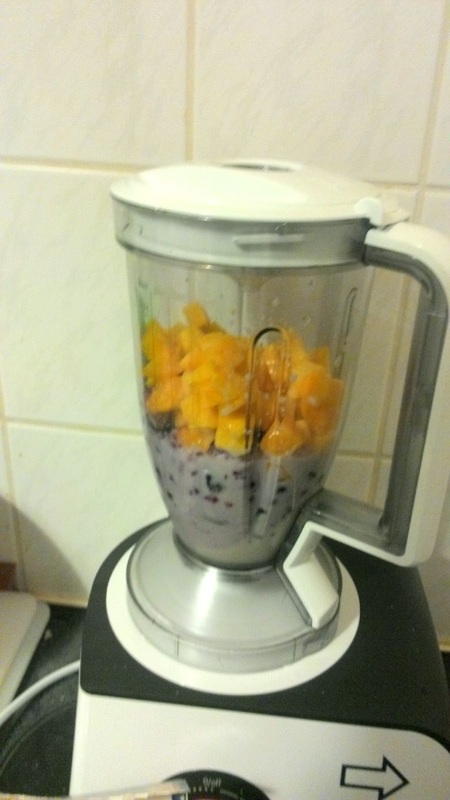 After watching one of Jamie Oliver's cooking shows we decided that it was time for us to get a blender! It goes without saying that we have not made any of his recipes so far. We did however experiment with all kinds of fruits. This is frozen mango and a wildberry mix paired with ice cubes (to give the smoothie a thicker consistency and to keep it cool), stracciatella yoghurt and some milk (to make it drinkable without loosing the taste). Step 1: Put all of your ingredients in the blender. 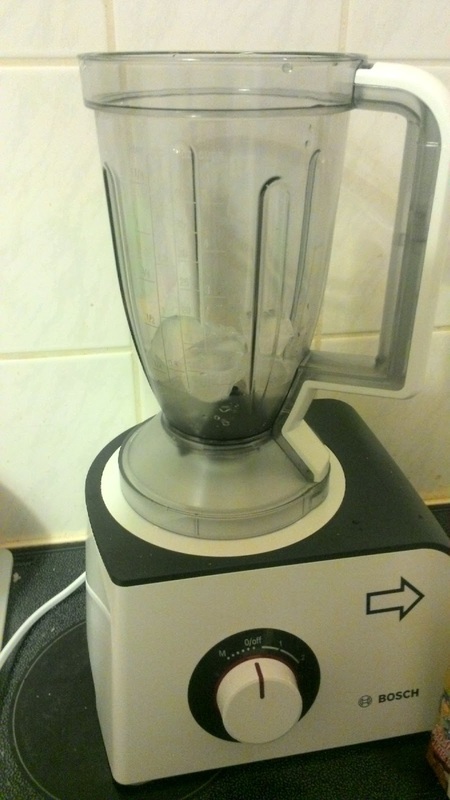 I don't know if it is the same for every blender but with ours we have to be quite clever. The bigger pieces should be at the bottom and the liqiuds should be poured over them. I thought the order of things wouldn't matter because the force of the blender would mix everything up eventually. Despite my little theory the blender got stuck after 10 seconds. Today I started with the ice cubes. 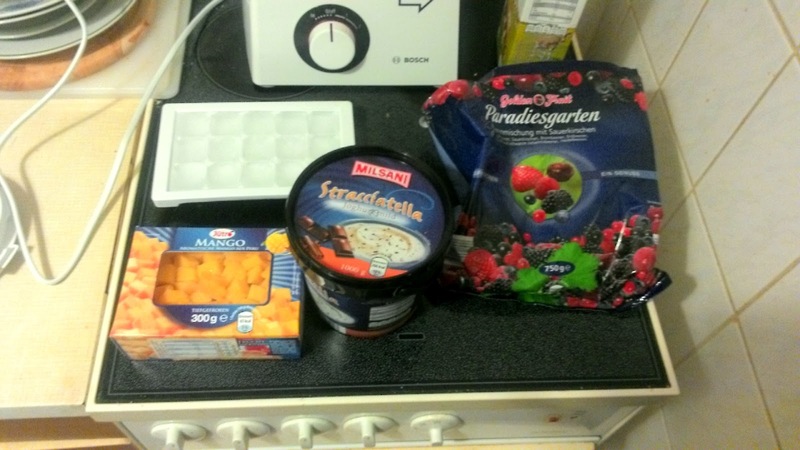 Step 3: Add the milk and yoghurt. Of course you can leave out the yoghurt. I just like the taste. ;-) Make sure not to put too much milk into it because the whole thing could get too liquid. I like it somewhere between drinkable and ice cream. Step 4: Blend, blend, blend! Once everything is torn into tiny pieces you're ready to go! This is a pretty good idea if you feel like snacking a bit or want to drink something more exotic without spending too much money or eating too many calories. That looks delicious! I love smoothies! Strawberry banana is one of my favorites, but mango sounds amazing.